well guardian has love letter to libraries on the website today. for me a a reader and a blogger wth out my local library I would be a poorer reader. 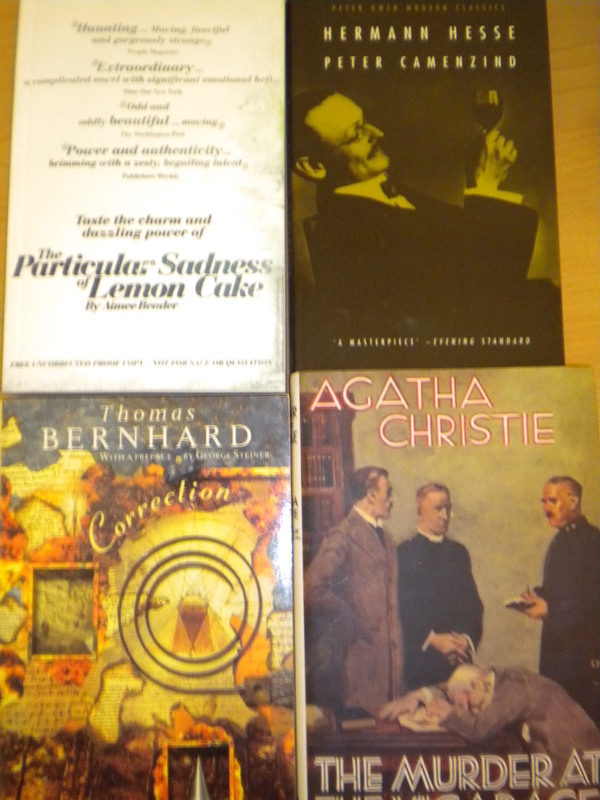 I love my library I use it every week near enough without it I wouldn’t been able to have done the last three shadow IFFP juries as they have always had some if not most of the books I wanted. 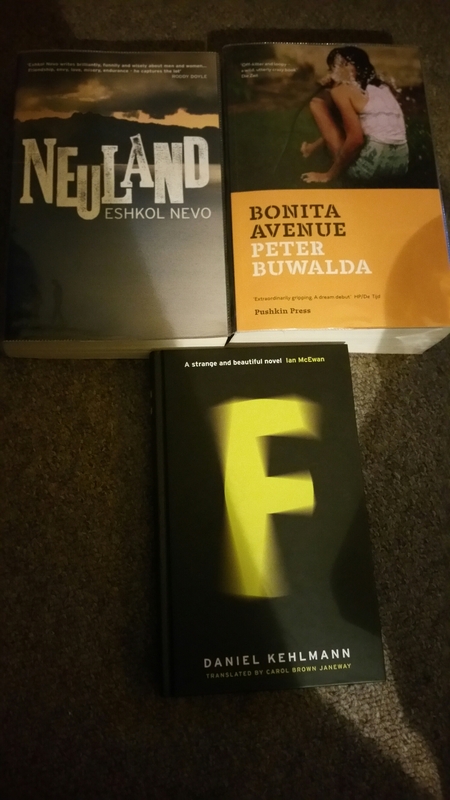 In a time when we are talking about kids not read we need keep open our libreaires our shining beacons in the dark world of tech.I love the fact a click away is nearly every book I could ever want and the journeys I take in the world of translated fiction . 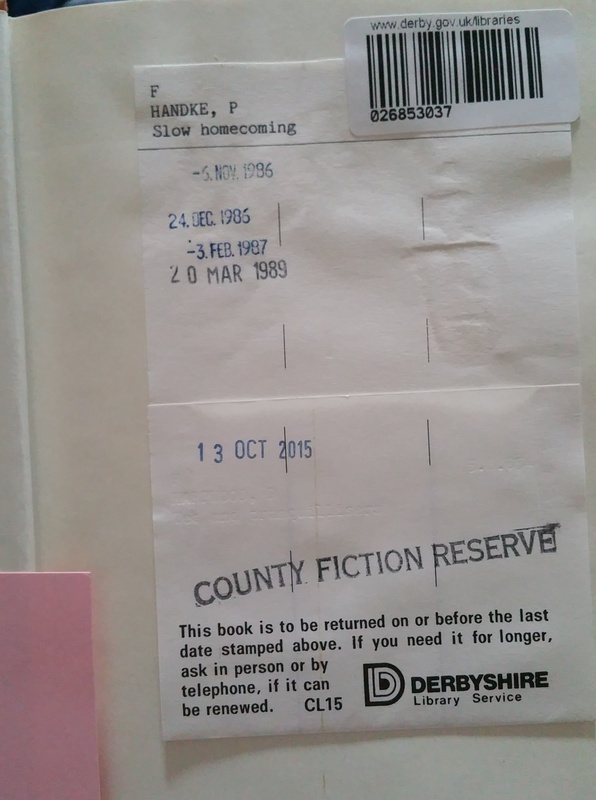 I was busy checking the library system and found a Peter Handke , which I think may have been lost before the new library system came online in Derbyshire last month , as I ‘m sure Peter Handke is a writer I would have search for before for a german lit month of just because he is a writer I have enjoyed in the past especially his work with Wim Wenders on the films they have made together The goalies anxiety at the penalty kick , The wrong move and of course one my all time favourites wings of desire .I picked this up yesterday from my library (very handy only two mins walk and great staff ) .I noticed this evenong that it had been 26 years since this book was last stamp so this poor Peter handke has been sat around waiting to be read again .Have you ever check a book out that has sat around for years ? Now I have decide to keep my weekend book posts for the new books I get sent or have brouight myself and in between times do posts on second-hand finds and library books ,I have borrowed ,I love he library but often return books unread as ,I get caught up in the new book rat race ,so i decided this visit to borrow four books by writers I have read before . 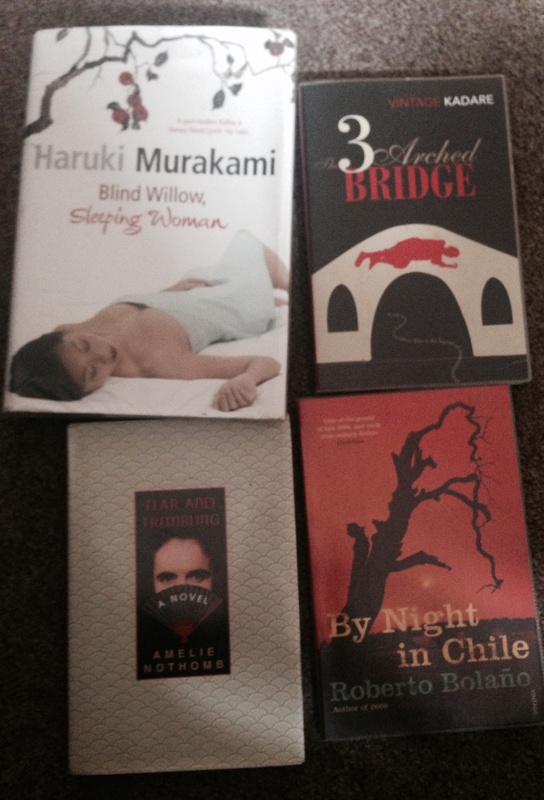 Blind willow ,sleeping woman by Haruki Murakami – I read this about six years ago ,just before I started the blog and saw it today and decide to include it as the books by him I have so far on the blog are all novels and this is a short story collection . 3 Arched bridge by Ismail kadare -I review his latest book , the twilight of eastern gods and whilst writing that I looked at the ones I hadn’t read by him and this was one of the ones that was top of that list as it follows the building of a bridge between the Balkans and europe ,I was reminded of the pyramid by him . 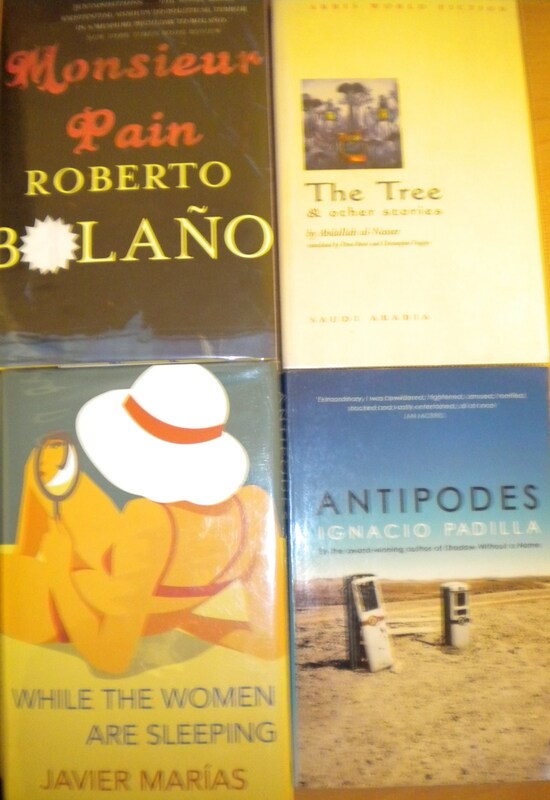 By night in Chile by Roberto Bolano – I hope to get all his books on the blog over some point so a political satire ,and with the Opus Dei in it so another to the list of his on the blog I hope . Fear and trembling by Amelie Nothomb – I read character of rain a few year ago , and said then I did like to read more books by Nothomb so this short novel is the next one I have found .It follows a fictional version of her self spending a year in Japan .Also makes a change from Simenon who has been my main Belgian writer this year . 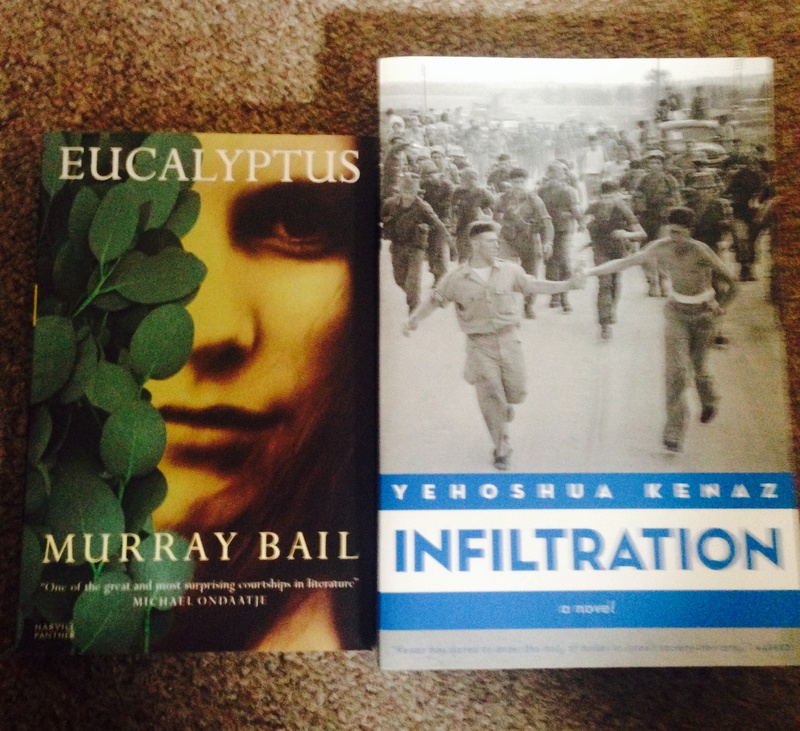 Eucalyptus by Murray Bail – well choose this for two reasons the title and cover caught my eye and the second reason was Michael Ondaatje on the cover as he is a writer whose book I have enjoyed so I thought i give this a whirl and handy for australian reading month 2015 . In filtration by Yehoshua Kenaz – I have enjoyed a number of hebrew novels based in the time around the foundation of Israel so this is another and one that I hadn’t heard of before . 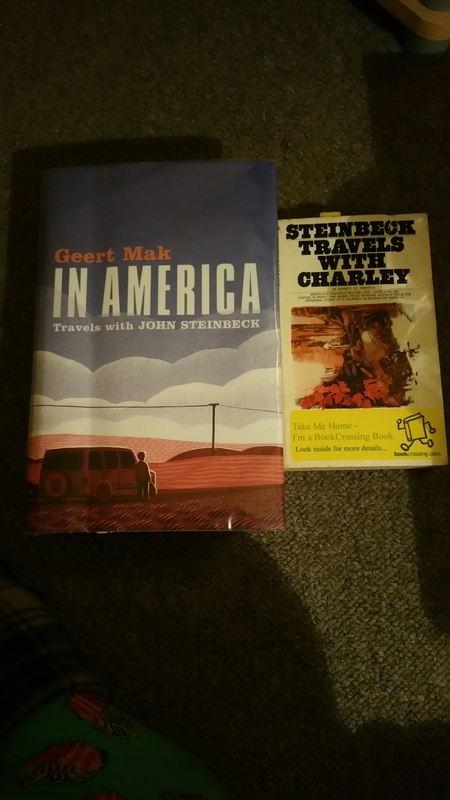 What books have you got from the library recently ? 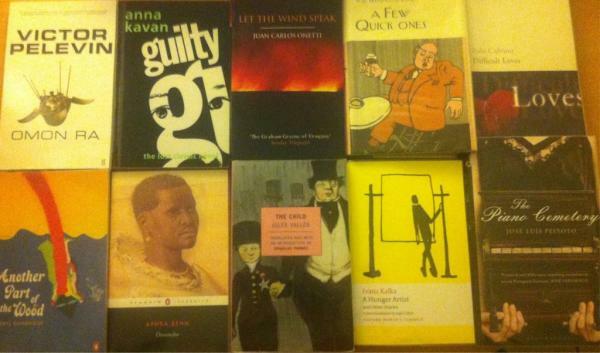 Its been while since I ve done a library loot post ,I ve been getting book from library but lot time I’ve left them unread and returned I manage to read all IFFP title but return a number of other books unread .So I choose some new books to get out and hopefully get to all these this time . Omon Ra by Victor Pelevin – A classic of post modern fiction satire the russian space programme ,sounds like a great mix to me . A few quick ones by P G Wodehouse – I m always mention Wodehouse as a writer I love as he makes me smile a bygone world of high jinx and care free lives ,then other day noticed I not reviewed a book by him on the blog so this collection of ten short stories which I ve not read shall be a great place to start . 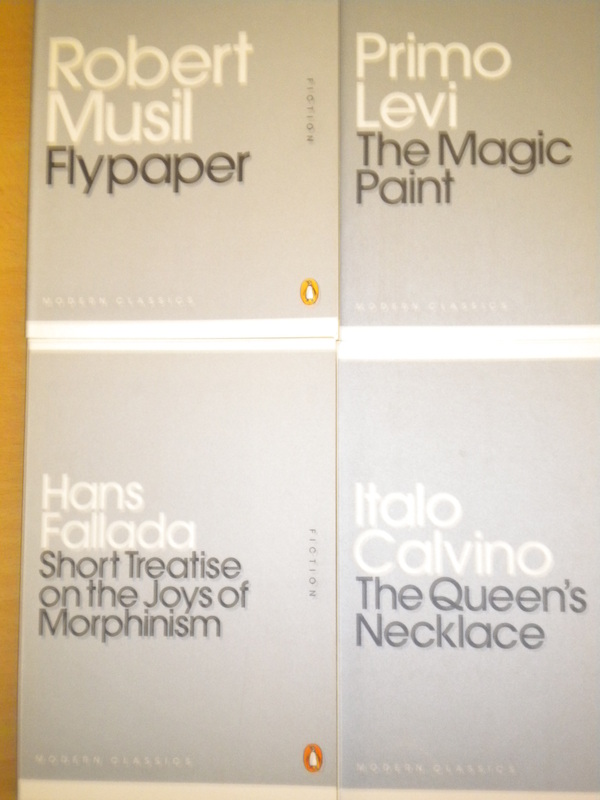 Difficult loves by Italo Calvino Another short story collection must be robs influence on me .I want to try to read all Calvino’s books so this is another one ticked of the list a collection from early on in his writing life stem from mid forties to early fifties . Another part of the wood by Beryl Bainbridge Gaseklla is hosting a Bainbridge reading week after the success of the Spark week so I choose this one from 60’s a couple of families at war on holiday in Wales .Appealed as my first read by her . Oroonoko by Aphra Behn A classic from 1600’s she was one of the first female writers this is about her visit to Surinam told from the point of view of a slave at the time he was a noble in his homeland and this helps him win respect of his english captors . The Child by Jules Valles a french classic rather like great expectations but also with a dark realism ,be truthful I like the cover so picked it for that it made me smile . A hunger artist by Franz Kafka I read all his novels and a collection of short stories in my twenties so saw this and not heard of the title before it is a collection of short stories bring together two of Kafka’s collection and some other stories ,yet more short stories . 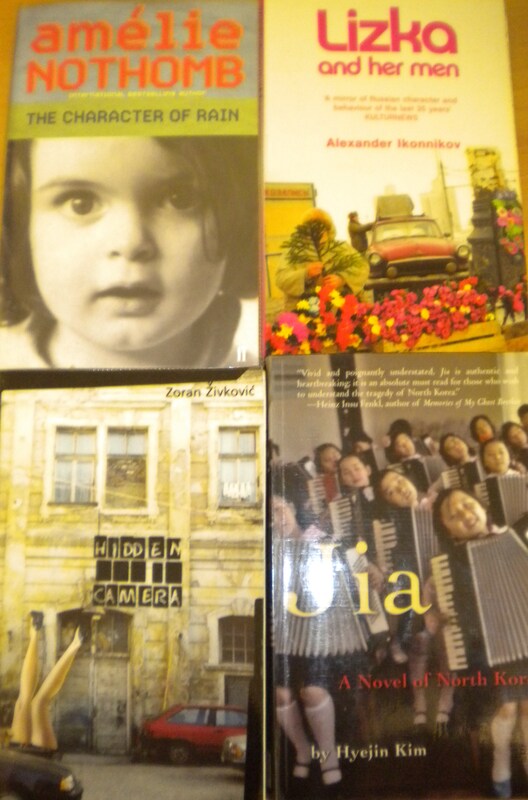 The piano cemetery by Jose Luis Peixoto I read blank Gaze by Peixoto this is his latest book that came out last year Lazaro family make piano’s but one member of the family is also a marathon runner this is his story ,suitably quirky like blank gaze was . well last night I had a great night at home with the Amanda but had two great bookish moments away from reading books the first was a film that was new to me that was on the sky premier film channel so a newish film it was called Eleanors secret ,a French Animation with english language soundtrack .We follow Natanael a seven year old boy that is afraid to read aloud and this is effecting his school work ,so on the way to his late aunts house where he spent many happy summers with her reading to him from her library of first editions fairy tales and classics .She left him this library and the secret that goes with it .I don’t have kids but I fell this is a film to inspire kids to read and to a book junkie like me was a wonderful way to spend a couple of hours with my darling wife .I m sorry I picked german trailer first as it much better than the english one I found gives better idea of the book .But have include the english one as well . My second bookish event last night was minor but to me a thrill I borrowed my first e-book from our library system I didn’t know Derbyshire even had a e library well we do it’s not terribly big but there is a number of books there I wanted to read but most were out on loan so I choose Arctic chill by Arnaldur Indridason as I have it on my shelves if I don’t finish it on my I pad in time . 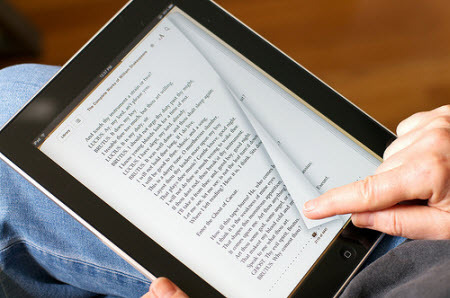 Have you borrowed a e-book ? 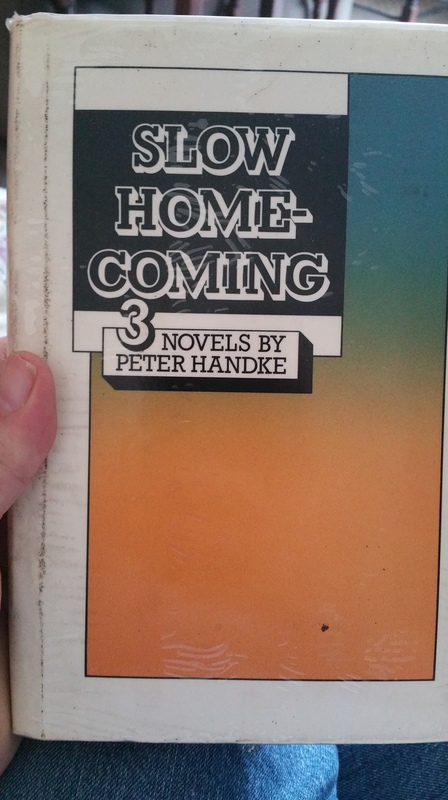 What bookish things your discovered recently ? Heinrich Boil was probably the best post war german writer ,he won the Nobel prize in 1972 .When I lived in germany in early nineties he was vert well known and on my return to the uk I read a couple of his books ,But late last year when I ordered from library found there wasn’t much in stock so choose this probably his best known book in germany . 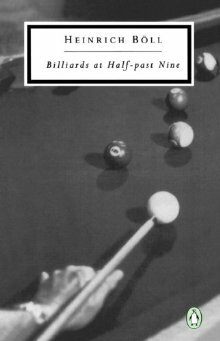 Billiards at half nine is About a businessman Robert Fahmel in Koln he is architect ,his secretary tells us about him and his habits ,but we are also told about his families history back to the 19th century a rich history ,We learn that Robert was opposed to the Nazis during the war and also about a conflict the host of buffalos and host of the lambs this is to all do with the church but in a greater sense harks back to the war and the battle of Nazism and pacifism during the war ,we also visit the battle of Kiev during the war . Robert was not yet two and Otto not yet born ; I was on leave and for a long while had clearly known what I had once vaguely sensed ;that irony was inadequate and always would be inadequate ,that it was inly narcotic for the privileged, and I ought to have done what Johanna did ; I ought to have spoken to the boy ,in my captains’ uniform ,but I merely listened to him as he went on reciting . Robert father in a flashback in 1917 on return to home from fighting on-line in world war one . I found this a tough little book to work through I felt as thou a secom=nd reading would help if I see a cheap copy I will pick it up it has a real depth and complex plot that has a lot of allusions to world war to but in some ways the struggle of religion in germany over history .Boll is a wonderful writer I would recommend this to anyone with an interest in german feelings post war its easy to see the main character as a Heinrich boll he lives in Koln like Boll and is a similar age to Boll .Boll fought in the Wehrmacht in the second world war ,in Russia so the battle of Kiev scenes I would feel are Boll’s own experiences .The copy I had from library was a Jupiter edition from 1973 and was translated by Patrick Bowles .